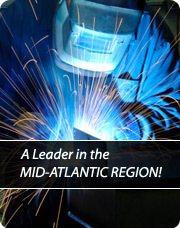 Located in New Castle, Delaware, G&E Welding Supply provides Welding & Industrial Supplies and service in Delaware, Pennsylvania, Maryland, New Jersey and the Mid-Atlantic Region. PLEASE CALL FOR PRICING ON THIS ITEM. HANDHELD PLASMA FOR CUTTING AND GOUGING METAL. HANDHELD PLASMA FOR CUTTING AND GOUGING. DID YOU KNOW... We offer Lincoln Electric equipment FINANCING? Qualified customers can take advantage of equipment financing MADE SIMPLE! No tax returns, no financial statements. CLICK for additional information.